The Zimbabwe government has scored a first for the country. But it won't win any applause for this milestone. Our tiresome neighbour has managed for the first time to charge a woman with treason. In her other life, Joana Mamombe (25) is a microbiologist with a Master's degree from a Norwegian university. Now the opposition MDC Alliance MP is imprisoned in Harare. Mamombe spent four nights in a sewage-infested cell underneath Harare Central Police Station after being arrested at a tourist resort in eastern Zimbabwe on Friday, March 1. Mamombe had been attending a parliamentary event. She is now charged with treason. Bail was granted on Friday. The ruling party also once arrested the late MDC Alliance founding president Morgan Tsvangirai and charged him with treason along with two senior colleagues. What could Mamombe have done? It is all connected to the so-called "stayaway" from January 14, called by the usually impotent Zimbabwe Congress of Trade Unions. This soon became violent in a handful of poverty-stricken suburbs in Harare and Bulawayo. All and sundry, including opposition supporters, army, police and anyone who could, looted like hell, hurled rocks and stones and set a few targets on fire. The latest count is that 17 died, including a policeman, according to human rights groups. Police failed to issue any statement on casualties. Nor whether they were investigating any murders as a result of the violence. A further 86 people are said to have been injured by bullets. Was that the army? Yes, say human rights groups. And 14 women claimed they were raped. One non-commissioned officer from the Zimbabwe National Army told The Daily Telegraph he raped a woman in a home which he believed belonged to an MDC Alliance supporter. The state says more then 70 policemen were injured, but provided scant details. To round off the statistics, President Emmerson Mnangagwa's Security minister, Owen Ncube, claimed the state arrested about 1 000 people in connection with the stayaway. Many of those put into filthy police cells were then taken to magistrates' courts, where the rule of law was abandoned. Trials were fast-tracked, dockets were altered, false witnesses were called and all accused were refused bail. Some normality returned to the lower courts after most of Harare's lawyers took to the streets to protest. As far as can be established, about 10 MPs from the opposition MDC Alliance are variously charged with incitement, subversion and treason. There are no indications that Mamombe was anywhere near the townships where the worst looting and violence took place. Mnangagwa (76) also warned that he would punish doctors who treated the injured during the riots and lawyers who defended those arrested. It was almost a tear-jerking moment when he began using Robert Mugabe's old "regime change" script. 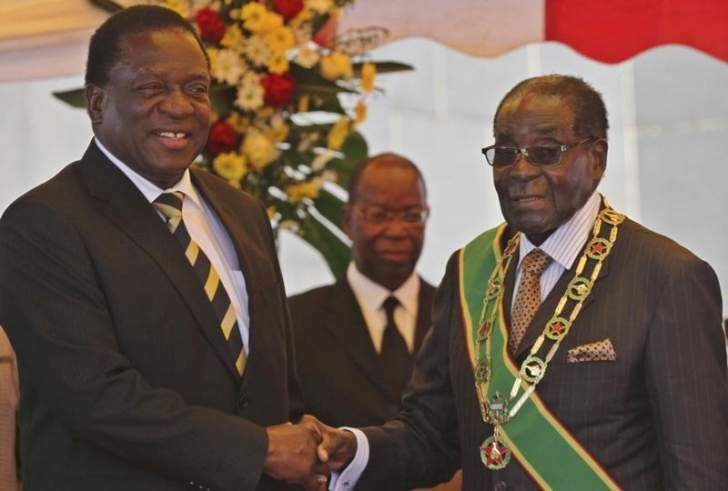 He has also begun playing that old Mugabe tune: Hostile forces are plotting against Zimbabwe. Mnangagwa doesn't specify which hostile force it is, but everyone knows he is talking about the United States. The US signed up to another year of "sanctions" last week, which does not affect country-to-country trade. It prevents US citizens from trading with Mnangagwa and some of his colleagues on the Washington list. Mnangagwa and company say they believe the US is plotting to ensure the MDC Alliance and its top man, Nelson Chamisa, comes to power. One must presume Zimbabwe's Central Intelligence Organisation would have told their boss that Chamisa would not need the US or any other power to win a presidential election if it were held now. Chamisa (41) only narrowly lost to Mnangagwa in July 2018. Now there is 60% inflation, fuel queues and recent army violence. Critics of Chamisa say that if he had stuck out his hand and congratulated Mnangagwa for his 2018 victory, Zimbabwe would be in another place today. Some believe Chamisa played an unnecessarily dangerous game, refusing to acknowledge his narrow defeat even after he failed to provide proof he had won. But that is another matter now. For the present, Zimbabwe is in many ways back to where it was under Mugabe.